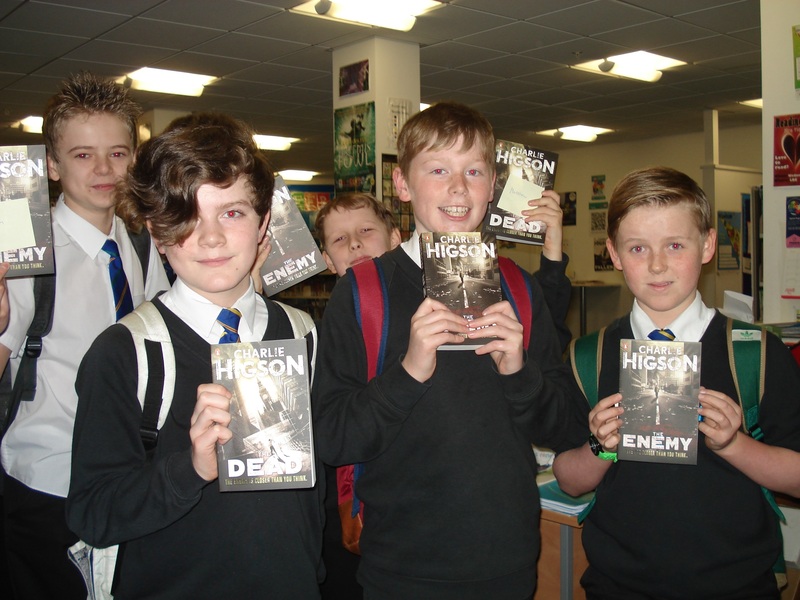 Budding young authors were given an inspiring insight into the career of best selling author, Charlie Higson. The successful children’s writer and comedian visited Hipperholme and Lightcliffe High School on Thursday 3 April as part of one week of dates to promote his new book, The Fallen. Charlie appeared before an invited audience of 300 young people at the school, in an event set up by the Discover Team from Calderdale Library Service. The event began with a trailer for The Fallen, then Charlie spoke about his career as a children’s writer which began with the Young Bond series. He then went on to talk about his love of horror and about his zombie series. He talked extremely inspiringly about the gift of language and the importance of reading and writing, with of course a lot of gags along the way. “I’m delighted that the children at Hipperholme and Lightcliffe High School, along with those from Brighouse High, Brooksbank and North Halifax Grammar, found the visit so entertaining. This entry was posted in All news, Children. Bookmark the permalink.